Do you have a vision? Vision is a very big word. Most people know that, and they try to use the word ‘dream’ in an attempt to reduce the significance of that word. 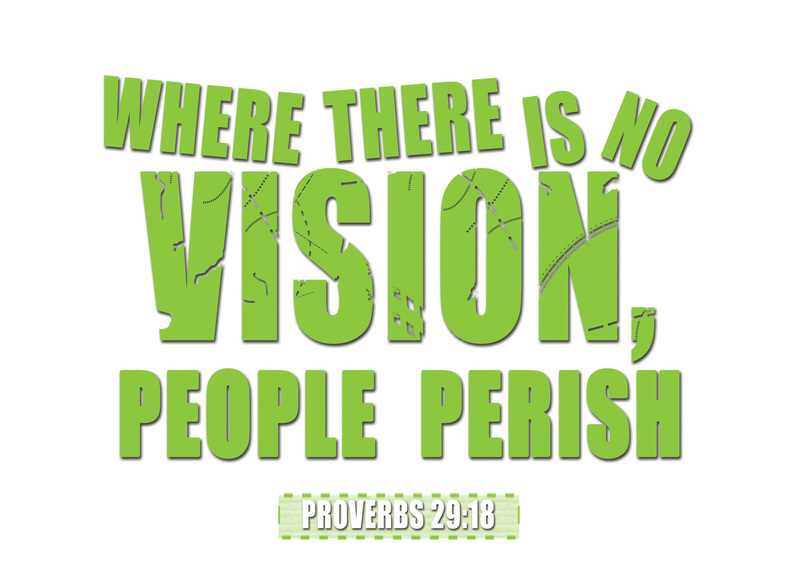 Of course, vision in this context refers to prophetic vision, or in other words, prophecy. In fact, the word was regularly used in the opening lines of the prophetic books, signifying a revelation by God. In the New Testament, the term prophecy was generally used to refer to a preaching of the word of God. Be it the word of God, be it the prophecies, be it your personal visions; whichever take you prefer, our souls will die, if we do not have a vision. Visions give us hope and motivation to live on for the future. The general idea is that prophecies were common in the days of the Old Testament, and while prophecies were certainly a lot more prevalent in the Old Testament than the New, there were also times where the word of the LORD was rare; there were not many visions [1 Sam 3:1]. There were times when the word of God was lost to Israel – For a long time Israel was without the true God, without a priest to teach and without the law [1 Chron 15:3]. It has been prophesied that a day will come when, even as people seek for visions, there will be none – Mischief shall come upon mischief, and rumour shall be upon rumour; then shall they seek a vision of the prophet; but the law shall perish from the priest, and counsel from the ancients [Eze 7:26]. It is a prophecy, it is a legacy, but perhaps it was also Christ’s own precious vision – salvation for the masses, even of he paid the ultimate price. That he would be the Messiah was a prophecy that has been preached countless of times in the Old Testament. Doubtlessly as well, his legacy can be seen in the amount of people who were inspired and changed because of him. Do we share Christ’s vision? Do you have a vision for yourself in the Kingdom of God? Is there any Kingdom value in what you are doing? Why were prophecies so important, even though it took them so long to be fulfilled? It gave people hope, and motivation for the future. In the same mould, if you are bough into a vision, you would be motivated for it, you would fight for it, you would sacrifice for it, an in extreme cases, one would die for it. It’s not like we will perish without a vision, without prophecies, without the word of God – well, we won’t die physically from that, but our spirits will rot and decay and die. Our insides will die. I believe that everybody has a vision, whether they call it a vision or not – it’s something they look forward to, something that hasn’t fully happened yet but motivates them to work that little bit harder, live that little bit longer, sleep that little bit sounder, eat that little bit better. And as Christians, I would like to think that there’s a Kingdom value in all our dreams and visions. Even if your dream is to be a housewife, I believe that there is immense Kingdom value in that – God can use you in your role for the greater good of his Kingdom. We need God’s words – more than just that, we need God’s words in application to our lives and in application to our futures. God’s words give us hope and assurance. God-given visions give us motivation for the future, even if, in the moment, it doesn’t seem like it will ever be fulfilled. Joseph dreams were very ridiculous, were they not? Even his father, who loved him so much, chided him for his dreams [Gen 37:10]. At the moment when his brothers sold him for 20 shekels of silver, or at the instant when he was placed into jail by his master [Gen 38:19-20], did he recall that old dream of his, where the sun and the moon and the eleven stars were bowing down to him? [Gen 37:9] Even if he did recall it at those trying moments, surely it must have felt so far away. Many times the visions that we have may feel very far away. They may be unrealistic – they may sound ridiculous. I ask you to pray about it and ponder about the Kingdom value behind your visions. The Lord has very amazing plans for us, just look at Joseph. Let God’s words be our hope. And let the visions that he gives us be our motivation.